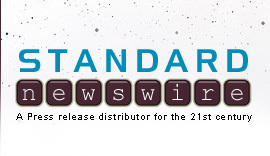 ATLANTA, Nov. 2 /Standard Newswire/ -- Georgia Right to Life PAC is pleased to announce that Representative Austin Scott of Tifton, GA and Jeff Chapman of Brunswick, GA have signed off on Georgia Right to Life's core principles. These candidates for the 2010 Governor's race have joined the 51% of Americans and 57% of Georgians that stand for the sanctity of human life. WHEREAS, the 14th Amendment of the U.S. Constitution states, "nor shall any state deprive any person of life, liberty or property, without due process of law, nor deny to any person within its jurisdiction the equal protection of the law," Georgia Right to Life PAC affirms the principle that the right to life is the bedrock upon which all other Constitutional rights are derived. IN ADDITION, we believe, in the face of compelling biological evidence, that a continuum of human life and personhood begins at the moment of fertilization and ends at natural death, the ethical treatment of human embryos must include their "best interests,"
THEREFORE, as a candidate for public office, I affirm my support for a Human Life Amendment to the Georgia Constitution and other actions that would support these principals. This would assure that regardless of race, age, degree of disability, manner of conception or circumstances surrounding a terminal illness, that the civil rights of the pre-born at an embryonic or fetal level, the elderly and those with mental or physical infirmities are protected by law and are violated when we allow destructive embryonic stem cell research, therapeutic or reproductive cloning, animal human hybrids, abortion (except to save the life of the mother), infanticide, euthanasia or assisted suicide. Dan Becker, president of GRTL stated, "I commend these men for setting themselves apart as leaders who are willing to fight for the personhood of all individuals. Georgia needs strong candidates who know the issues and are willing to stand with the 57% of Georgians who want to see Roe v. Wade overturned." By signing this form, these candidates agree to the standards set by the GRTL PAC. GRTL invites all candidates running for office to take a principled stance for life.